Exercise for Better Bones osteoporosis exercise program is an exercise osteoporosis program designed for people like you. It is available for purchase at Amazon in printed book and Kindle formats. It provides a safe and effective means to strengthen bone, reduce fracture risk, and build confidence. The Program has been successfully used by thousands of MelioGuide clients worldwide. And hundreds of Physical Therapists and Physiotherapists have prescribed the Program for their clients. 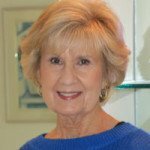 My name is Margaret Martin and I developed the MelioGuide Exercise for Better Bones Osteoporosis Exercise Program for you. I am a Physical Therapist — licensed in California, a Physiotherapist — registered in Ontario, and a Certified Strength and Conditioning Specialist — Certified by the National Strength and Conditioning Association (NSCA). I have 35 years of experience helping people, just like you, safely and effectively achieve their health and fitness goals— and have some fun along the way! 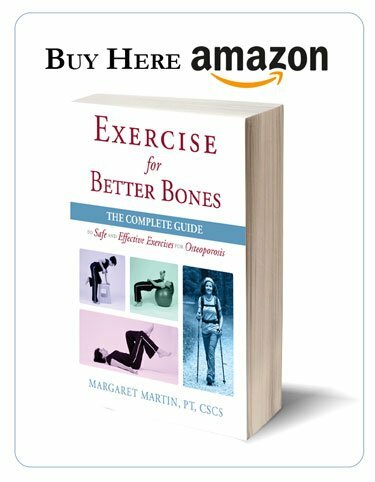 Exercise for Better Bones osteoporosis exercise book is available in print and Kindle format and you can purchase Exercise for Better Bones at Amazon. The MelioGuide Exercise for Better Bones Osteoporosis Exercise Program is based on the latest research on the effects of exercise and bone health. The Program has been reviewed by a number of leading researchers in the field, including Dr. Meena Sran at the University of British Columbia. Since purchasing Margaret’s program, I am impressed with everything offered on the website and with her program! I have been practicing Pilates for over two years and have realized improvement in overall core strength BUT when doing the Warm up Exercises with Margaret’s videos today another level of challenge appeared. When I design an exercise routine for a client, I not only make sure that it addresses their specific need (for example, a bone building osteoporosis exercise program for people with low bone density), I need to make sure it is a program that they will stick with. Why are some people able to stay with their exercise routine while others abandon their program? The following client video interview identifies several things that can make a program easy to follow and increase the chances of success over time. The MelioGuide Exercise for Better Bones Program is the foundation for Josephine’s exercise routine. The variety in the exercise routine. The variety challenges her and keep her engaged. Access to reference material. This gives her the confidence to know she is doing the exercise correctly. The convenience of a home workout program. It is much easier for her if the routine can be completed at home with minimum equipment. Many people have a difficult time sticking with an exercise routine. They start an exercise plan at their local gym, with a personal trainer or on their own and, after a period of time, give up on the program. Josephine has been able to keep her program on track by making it part of her daily routine. In the video, she describes how the MelioGuide Exercise for Better Bones Program has kept her going. Josephine talks about the nature of the exercises in her exercise routine. She likes the fact that there is variety in the exercises and notes that there are strength training and weight bearing cardiovascular exercises. She also mentions that the new exercises create a learning challenge. The MelioGuide Exercise for Better Bones Program was designed with variety in mind. Research has shown that bones need to be surprised and challenged. An osteoporosis exercise program must include more than weight bearing exercises. Strength, balance, flexibility, and cardiovascular are all important components of a comprehensive osteoporosis exercise program. An interesting byproduct of this approach is that the client stays engaged in her Program because she is challenged and must learn new things. An exercise routine with too much routine will lose the client. Josephine likes that she can use the MelioGuide Exercise for Better Bones Program printed manual and online content for easy reference. It gives her the confidence that she is doing the exercises properly. In the video, Josephine states that she finds going to the gym once she is at home to be a challenge. In fact, if she was required to go to the gym it may become a barrier to her staying with her exercise program. Instead, she is able to do her MelioGuide Exercise for Better Bones Program in the convenience of her home with minimum equipment. 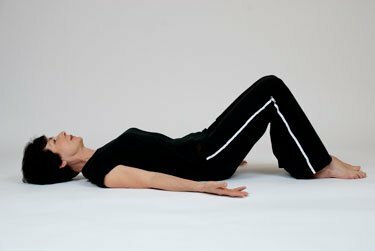 What are the best osteoporosis exercises? Is exercise for osteoporosis patients different than exercise for the general population? 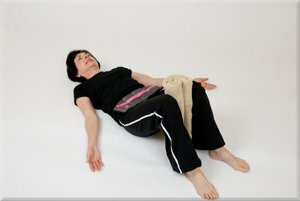 What type of strength training osteoporosis exercises should I incorporate into my program? Do I have a specific osteoporosis exercise prescription, osteoporosis exercise guidelines or osteoporosis exercise plan for people who visit my Physiotherapy clinic? I start each osteoporosis patient with a detailed assessment and then give an osteoporosis exercise prescription appropriate to their individual needs. A lot of my time is spent educating patients on the best osteoporosis exercises for them, the specific osteoporosis exercise guidelines they should follow, what they need to know to strengthen their bones, improve their balance, and reduce their risk of fracture. I explain to them what is happening to their bones, and what exercises and activities they need to avoid or modify. My objective is to build their confidence and show them how to maintain their independent lifestyle. However, I find that unless the patient has access to videos or printed material, they do not retain all that I share with them. I started the online service, MelioGuide, several years ago to address this need. The Exercise for Better Bones Program combines online tutorials on bone health, online video demonstrations of the exercises, and a printed manual with the details on each exercise. 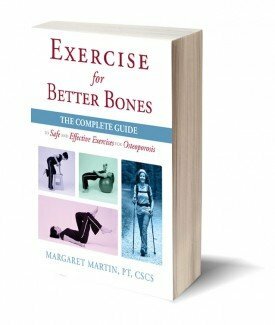 Each of my patients follows the Exercise for Better Bones Program. I hope that you can join them! Each client I deal with has unique needs. Some people are more active than others. Their fracture risk varies widely. It is impossible to create one program that meets the needs of all clients. One size does not fit all when it comes to exercise for osteoporosis. The Exercise for Better Bones Program that each client is prescribed is unique to their Exercise Activity Level and their Fracture Risk Category. There are four exercise program levels – Beginner, Active, Athletic and Elite – based on the client’s activity level and three fracture risk categories – Low, Moderate and High. The first thing you will do once you purchase the Exercise for Better Bones Program is take my online assessment questionnaire to determine the Program best for you – based on your medical history, fracture risk category and activity level. You will start with the recommended Program level and your can move between levels over time. When someone is diagnosed with osteoporosis the most common exercise advice they receive is “do weight bearing exercises.” And that is it! Your Exercise for Better Bones osteoporosis exercise program will be more comprehensive than the general advice you will receive. It will be specific to you. Your program has been designed to strengthen your bones, reduce your fracture risk and build your confidence. The Exercise for Better Bones Program involves more than just weight bearing exercises. There are strength, balance and flexibility exercises designed to reduce your risk of a fall and fracture. There are weight-bearing exercises – appropriate for your activity level – that will help you strengthen your bones. Plus your Program will include information on exercises you should avoid if you have osteoporosis, daily activities, osteoporosis exercise equipment, yoga for osteoporosis, and tai chi for osteoporosis. You do not need to go to a gym. The Exercise for Better Bones Program is designed for you to do in the comfort of your home with the minimum of equipment. However, if you still want to go to the gym, I have a series of recommended modifications to popular gym exercises. Most important, your Program is designed to be fun and engaging. Exercise for Better Bones is one of my products.